Freestyle/Greco practice has been rescheduled to Thursday night this week. Joey Majerus will be leading. Ryan Lexvold, Hayden Voxland, Hayden Stensland, Jarret Haglund, Michael Majerus, Caden Steffen, and Jacob Bennett took to the mat in Stewartville on Saturday competing in both Greco-Roman and Freestyle. The ZM Wrestling Summer Camp will run from June 1st-4th. 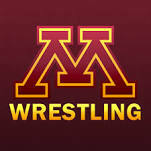 The camp will be run by Minnesota Golden Gophers. Don’t miss out on this great opportunity! To sign up, please fill out and mail in the registration form. Please note that the Community Ed brochure sent home earlier this week had the incorrect dollar amount for 2 siblings. Wrestlers born September 1, 1995 and later who are enrolled in grades 9-12 during the 2015 spring semester are eligible for the Junior Greco-Roman and Freestyle State Championships next weekend in Forest Lake. This tournament will be used as a basis for selecting the Junior National Teams. Pre-registration deadline is 5:00 PM on Thursday. Full details here. 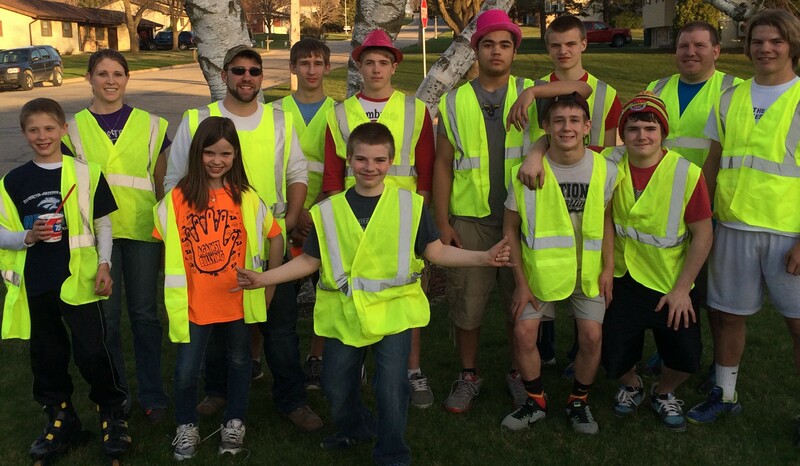 Thank you to all the volunteers that helped clean the ZM Wrestling stretch of road ditches on Tuesday! 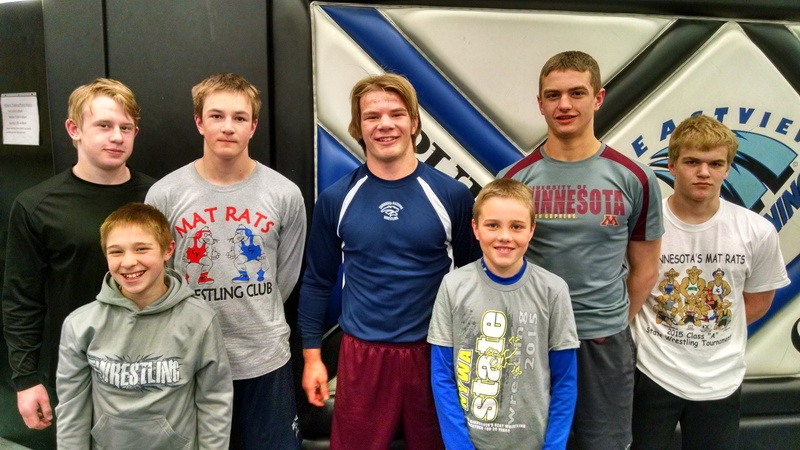 Saturday – Stewartville Greco & Freestyle MN/USA State Qualifier. Forest Lake Freestyle Tournament. Junior Greco State. Sunday – Junior Freestyle State. Adopt-a-Highway cleanup is scheduled for tomorrow Tuesday, April 14th. Wrestlers and volunteers are to meet at Link’s house at 5 PM. Appropriate dress would include pants, gloves, and old shoes or work boots. Safety vests and garbage bags will be provided. Freestyle/Greco practice has been pushed back one hour to 7:30 PM for Tuesday to allow enough time to do roadside cleanup and attend practice. The youth program held their annual end of the year party at the Mazeppa Community Center. A potluck was had followed by awards and games. Thanks again to everyone for their efforts this year! 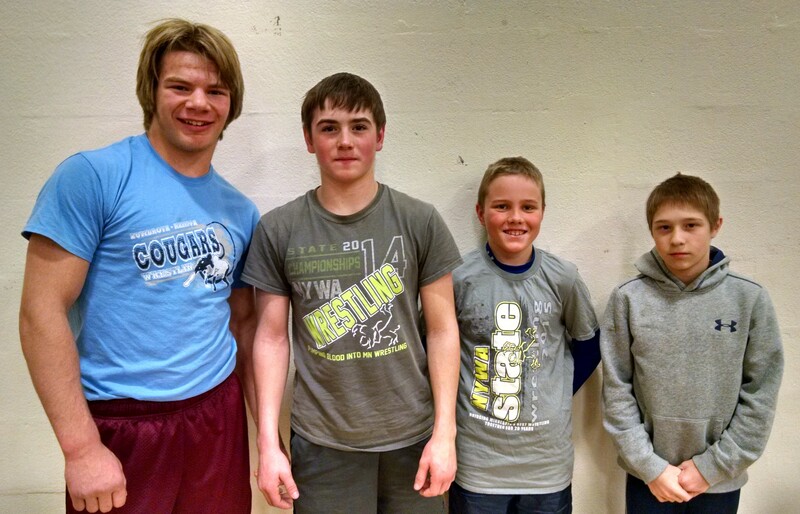 Caden Steffen, Spencer DeFrang, Ryan Lexvold, and Michael Majerus competed in Apple Valley at the Freestyle tournament on Saturday. Ryan also wrestled in the Greco event on Friday night. A total of 9 wrestlers continued to work on their craft this weekend. 7 wrestled Freestyle in Eastview on Saturday. 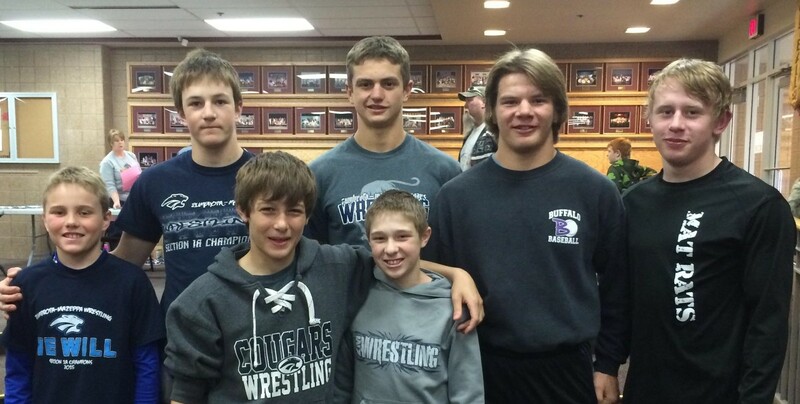 They were Jacob Bennett, Michael Majerus, Hayden Voxland, Caden Steffen, Ryan Lexvold, Jarret Haglund, and Tyler Soltau. Hayden Stensland and Maverick Jackson traveled to Iowa and competed against the nation’s best in the USA Folkstyle Nationals. We are excited to have Joel Bauman leading our FS/GR practice tomorrow night at 6:30 in Mazeppa. Joel is a 2010 graduate from Kerkhoven-Murdock-Sunburg. He is a 2x Minnesota state champion and part of the 2009 KMS state championship team. In 2007, he was a Cadet national champ in Greco, 2008 (2nd), 2009 (8th) and 2010 (2nd). Earned Greco All-American honors at Junior Nationals in Fargo. Joel went on to wrestle for the University of Minnesota, but had concussion problems resulting in his college career to be cut short. This past year he got back in mat. Over Christmas Joel competed in the Minnesota Storm Holiday Cup against the top Greco athletes in Minnesota placing 2nd. He recently got back from training at the Olympic training site in Colorado. There he trained with top athletes in USA and is ranked #8 in the nation at his weight class. Wednesday – Booster Club meeting at 6:30 in Mazeppa School Library. Sunday, April 12 – Youth end of the year party starting at noon in the Mazeppa Community Center. Full details here.